[Updated June 2017] Kok Sen Restaurant is listed in Singapore Michelin Bib Gourmand 2017 and 2016. 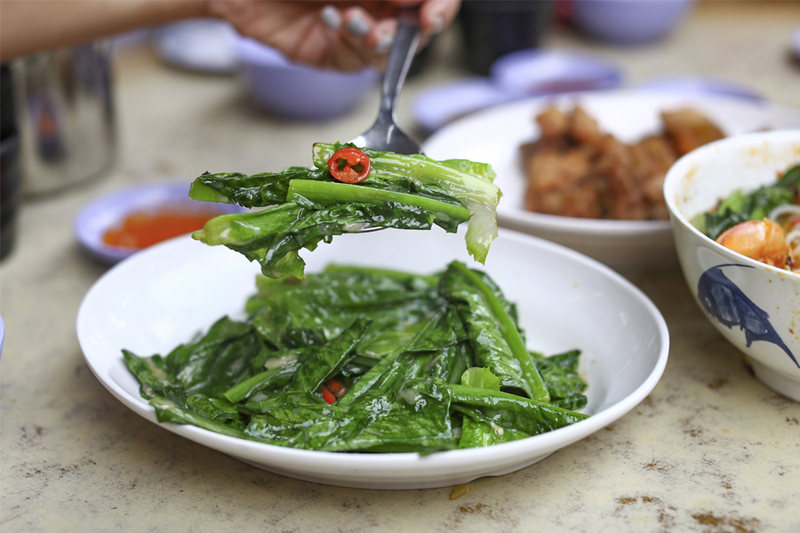 Kok Sen Restaurant 國成球記菜社 on 30 Keong Saik Road has consistently been one of my favourite Zhi Char places in Singapore. Bring on the Big Prawn Bee Hoon and Claypot Yong Tau Foo. 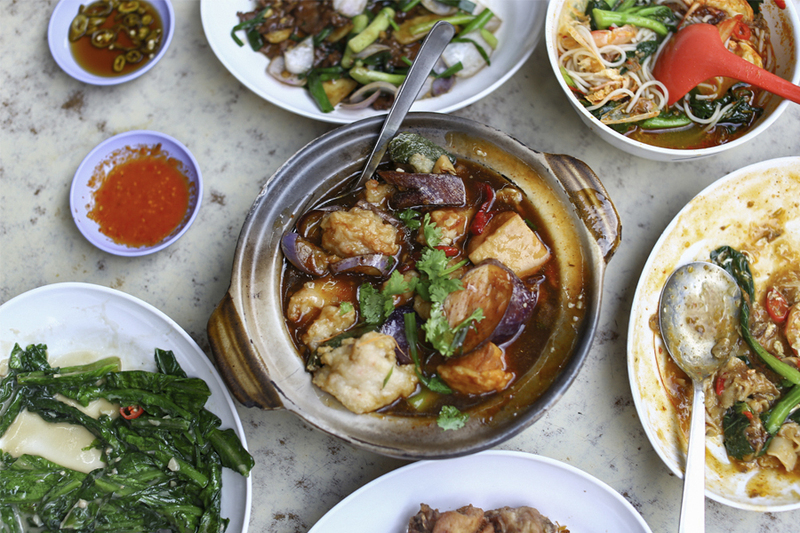 With a history of more than 37 years, it is known to serve different-from-usual wok-fried zhi char, with some dishes unique to this restaurant. 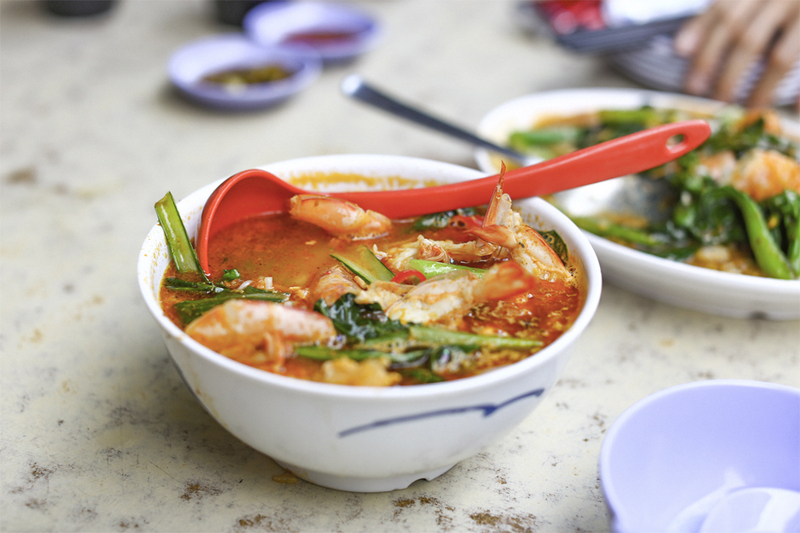 The regulars know the restaurant as “Kau Kee” – the name of the founder, while “Kok Sen” is his son. It is currently helmed by the third generation in the family. 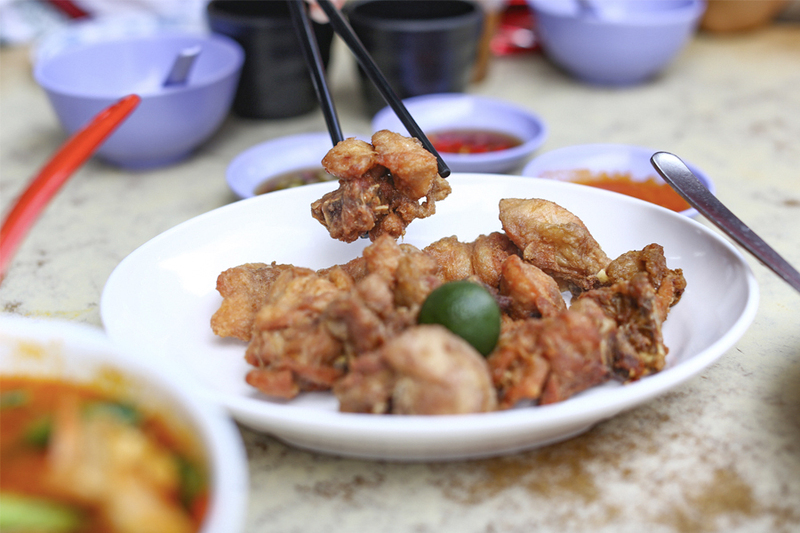 Before being listed in the Singapore Michelin Bib Gourmand Guide, it was already very popular with locals. Ever since it was recognised by Michelin, queues and waiting times have gotten longer, and prices seemed to have been adjusted even further upwards. 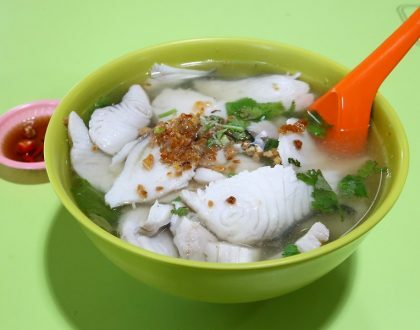 For tourists going to Kok Sen for the first time, do not expect a fancy restaurant, but a Singapore coffee-shop style eatery sans air-con. Chinese words which are names of the signature dishes are written on orange paper, pasted in straight rolls across the wall, reminiscent of what the Hong Kong old-school eateries would have done. Reservations are highly encouraged. If not, you got to wait anything from 30 minutes to an hour during peak hours. Bring more friends to share the food and calories, as dishes come in relatively sizable portions. 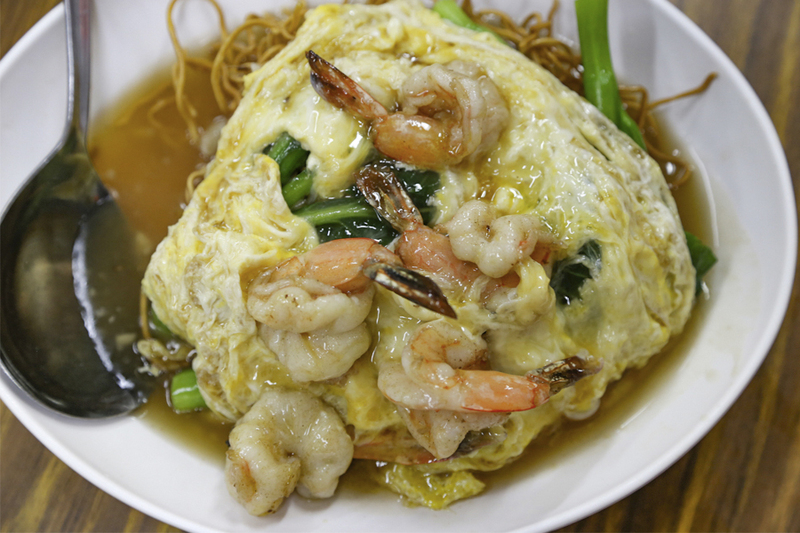 The signature dishes include Big Prawns Horfun ($16, $32, $48), Big Prawns Bee Hoon Soup ($16, $32, $48), Crispy Noodles with Shrimp Omelette ($12, $18 $36), Kung Pao Frogs Stir Fried with Dried Chilli ($20), Cereal Butter Squid ($14, $21, $28), Sambal Kangkong ($10, $14, $18), Black Pepper Beef ($14, $18, $24), and Thai Style Fried Rice ($6.50, $13, $19). 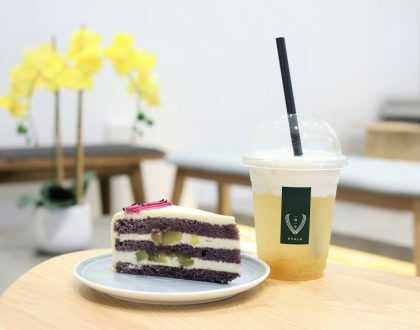 These are not your ordinary coffeeshop prices. Know not what to order? Ask the friendly auntie. 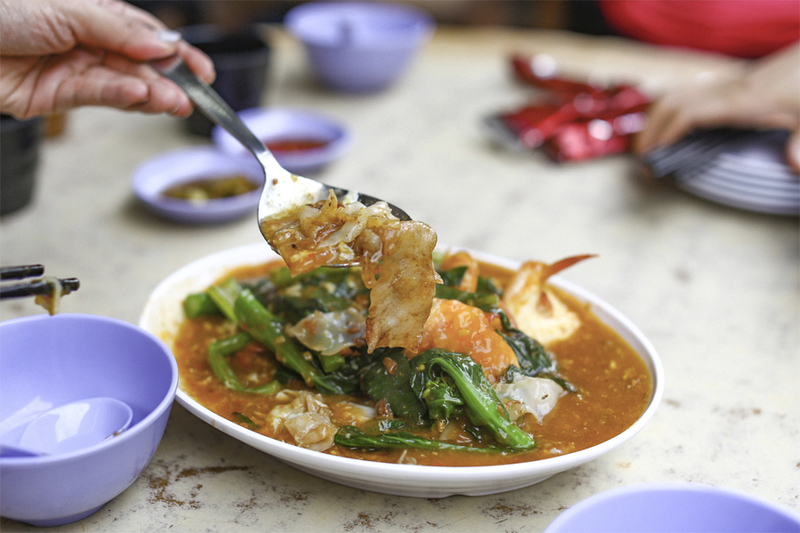 This Cantonese-style restaurant most famous dish is its Big Prawns Bee Hoon Soup, costing a pricey $16 for the smallest portion in a seemingly humble zhi char place. Yes, 16 bucks for hae mee! But quoting a beauty brand, it is worth it. I have been ordering it almost every single time I come. 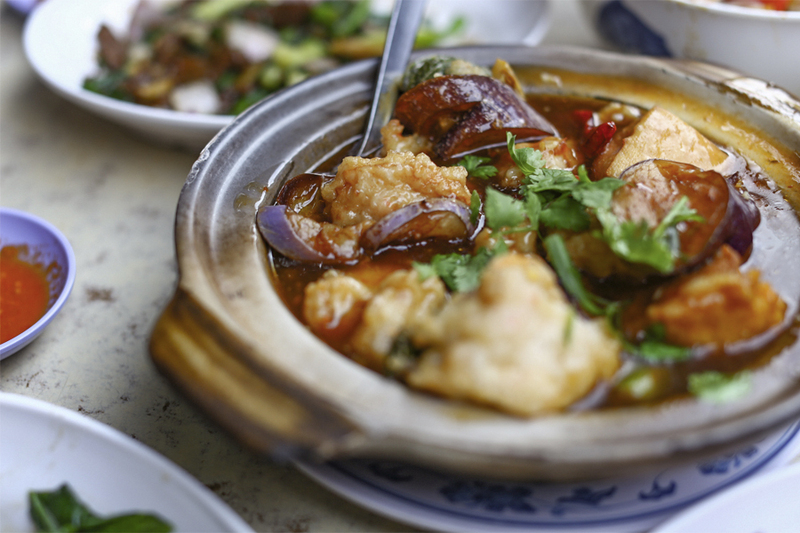 My tip is to share the bowl with a friend, though as it is quite heavy and rich in taste. 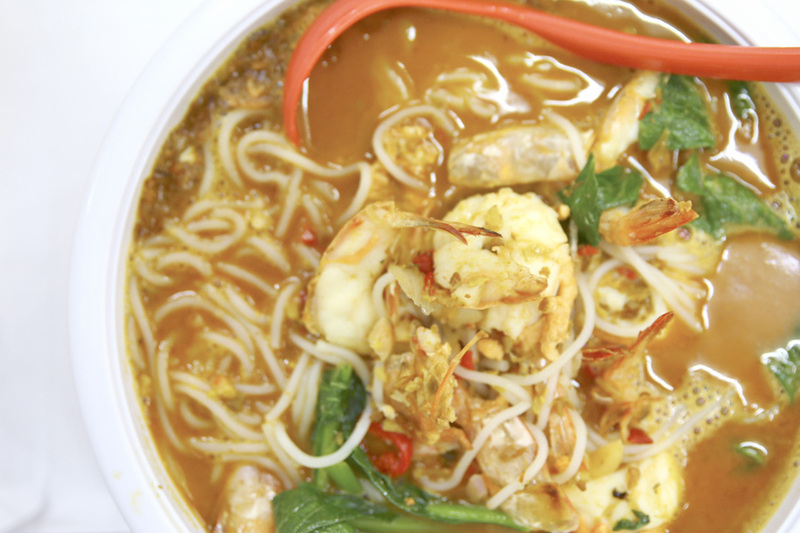 The Big Prawn Bee Hoon arrived steaming hot with two huge fresh prawns, partly de-shelled so it is easier to eat. The soup was thick, red, spicy, grainy with hints of belacan. So tasty that I would always finish it till the last drop. Some may find the stock a tad too thick and flavoursome though and may need to down some water. HOWEVER, I must say that during the most recent meal, I thought that the broth somehow tasted more diluted than usual, as though something was missing. Kok Sen’s Big Prawn Crispy Noodles ($16) which looked like the typical ‘shen mian’ also had a unique style unseen in other zi char restaurants. The noodles looked wrapped with the fluffy egg like a pillow-case. 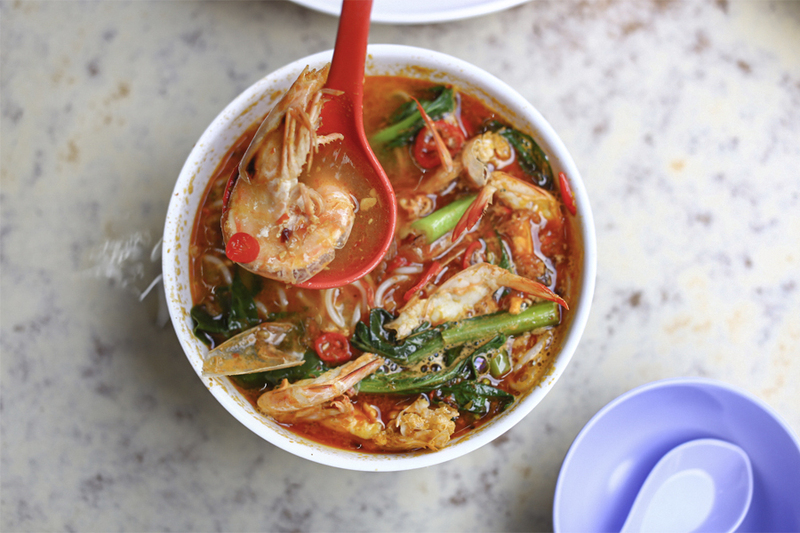 Other than the fact the prawns were larger than large, the noodles remained crisp, fried in delicious starchy – spicy gravy with a nice wok hei flavour. Anyway, it is most often sold out. 7 out of 10 times I was there, it was already not available. 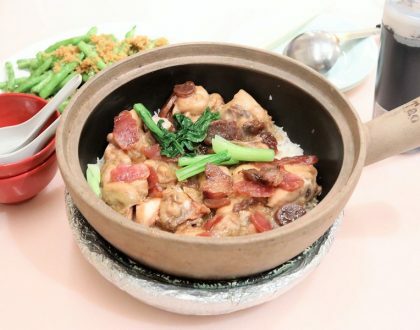 Arriving sizzling-hot with thick gooey sauce in a claypot, Kok Sen’s version is quite unlike others. The pieces tasted more ‘luxe’ than normal, due to the inclusion of fish, prawn, and squid which would give them a better bite. Also the brown sauce was so addictive, simple pleasures when poured over plain rice. (MSG alert). 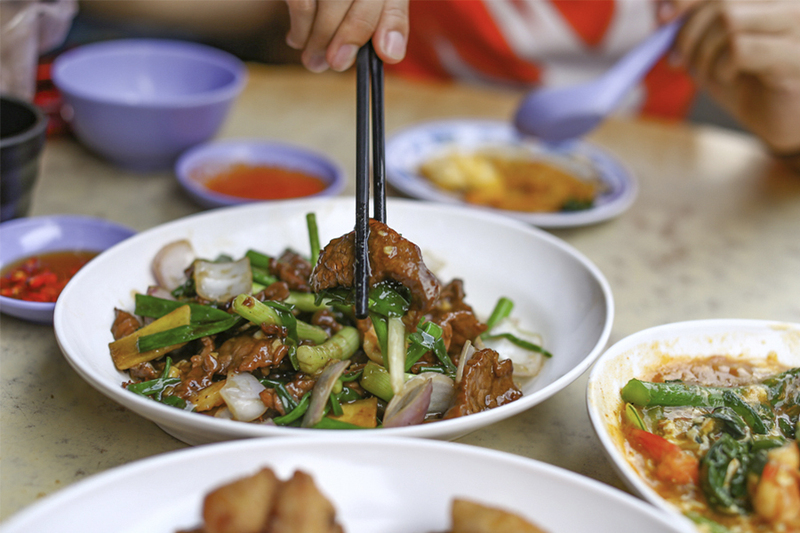 Common feedback about Kok Sen is while the dishes are generally appetising, they tend to be on the saltier side. 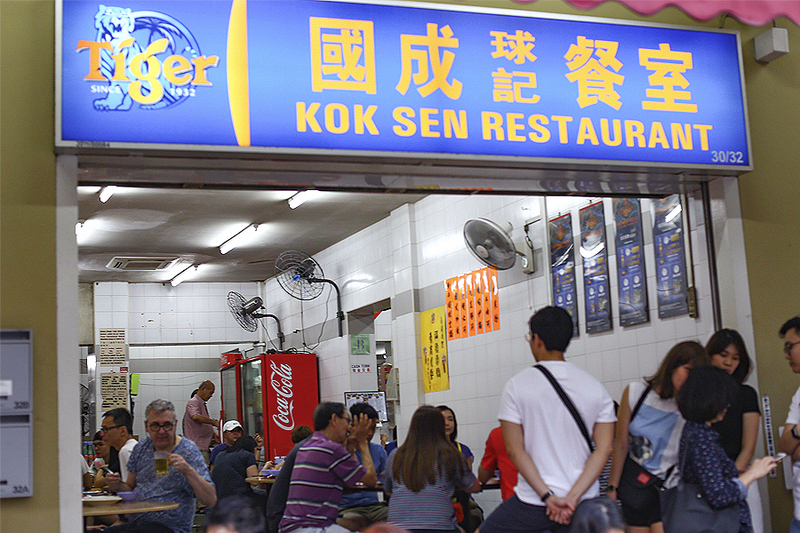 Perhaps due to the popularity and crowd, Kok Sen didn’t taste as magical as it used to be, but still remained reliable.